When we are asked for the best quality locking mechanisms available we will always recommend, without hesitation, Union locks. This long-established company has been the by-word in quality door locks, door handles and door furniture for over 150 years and has built up an enviable reputation in both the commercial and domestic markets. Their range of locks is vast, and customers are sure to find whatever they are looking for whether it is mortice locks, latches, rim locks and many more besides. Most Union locks are available as Keyed Alike or Master Keyed for extra convenience. The company is constantly improving and developing new products, striving to produce even better locking mechanisms than those already bought and used by appreciative customers. 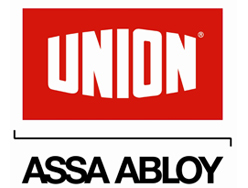 The highly skilled team at Union guarantees the quality of all of their products and customers looking for market leading door or window locks cannot do better than to choose a Union product.